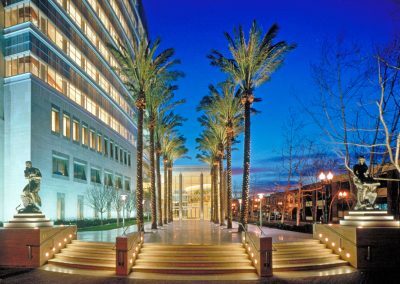 Gruen Associates was the Executive Architect for the $123 million, 10-story Ronald Reagan Federal Building and US Courthouse. Totaling approximately 603,000 SF, the project was lauded by the US District Courts as one of the best new courthouses in the Western US. The facility is designed to meet the Federal Court’s 30-year space requirements. Included in the initial build-out are spaces for the US District Court, US Bankruptcy Court, Magistrate Court, court-related agencies, federal executive agencies, joint-use facilities and accommodations for the US Marshals Service. Completed in 1998, the project was designed by Zimmer Gunsel Frasca to accommodate 29 courtrooms at final build-out. 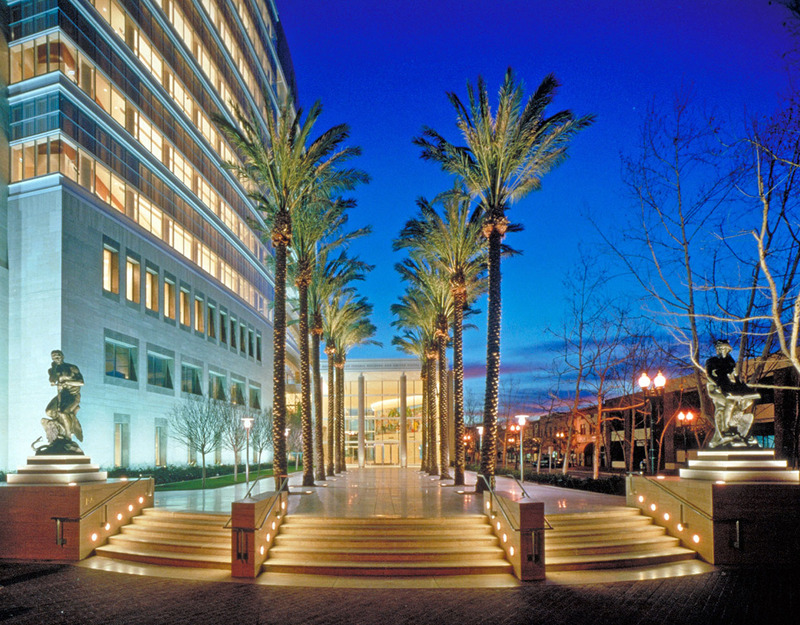 Located on a 3.9-acre site at the edge of a pedestrian-scaled early 20th Century downtown, as well as adjacent to a modern civic center, the new building’s identity in the community was to have real and symbolic connections to both, along with meeting demanding functional and security requirements.